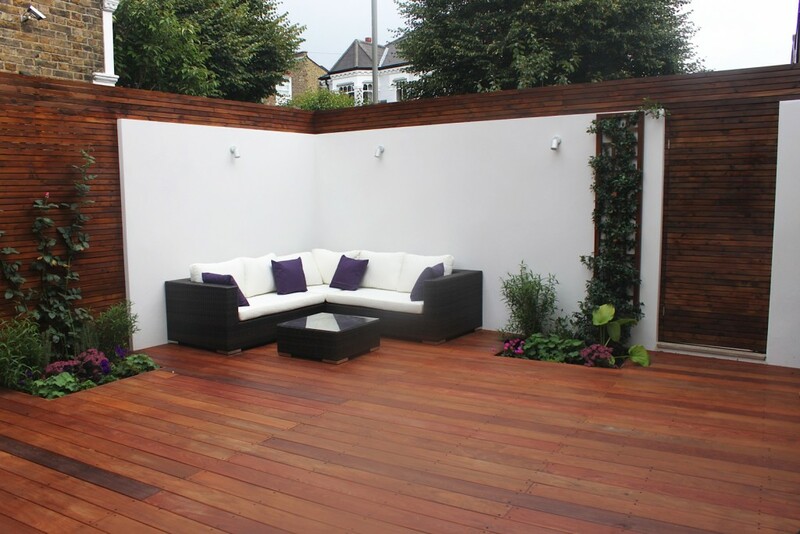 This garden design Clapham SW4 was commissioned, designed and built two years ago. My clients being busy professionals, always on the move, with little time for maintenance and gardening were looking for an easily maintainable outdoor room for entertaining, kicking back and dinning out. 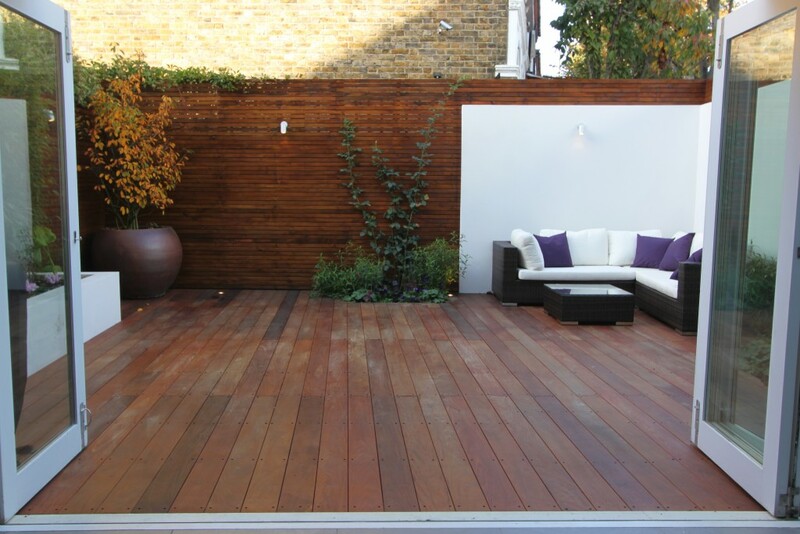 This garden design in Clapham SW4 maximizes space, is functional and easily maintained. The large white rendered back drop throws light into this north facing garden, bringing a greater sense of light and space. This contemporary, slightly minimal garden design in Clapham really works with the internal space extending the floor area, unifying both home and garden. 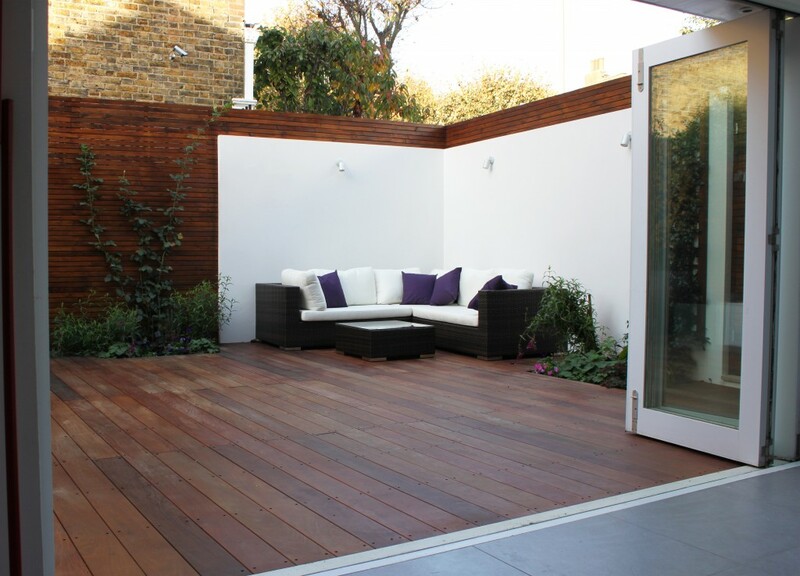 The Ipe hardwood decking and venetian trellising creates a warm natural environment and provides an escape from busy London life. With this garden design and build we decided to place the seating in the corner, economising on space, opening up the garden, allowing space for a large dinning table for those long summer night dinner parties. 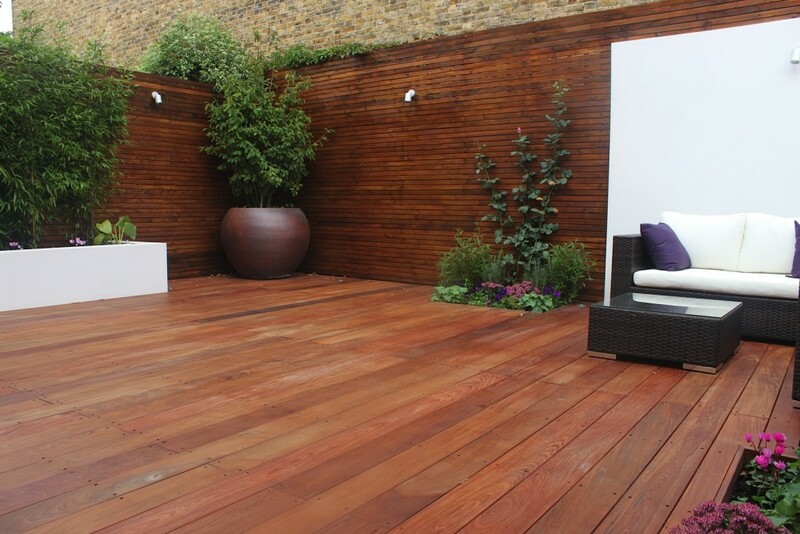 The London Landscaping Company are professional, reliable garden designers & landscapers in Clapham. Providing our services in Clapham and throughout London for over 14 years. We boast exceptional customer services, high professionalism and competitive prices. So for more information or to arrange a consultation with us please do not hesitate to get in touch with us straight away.